Here comes the Easter Bunny! 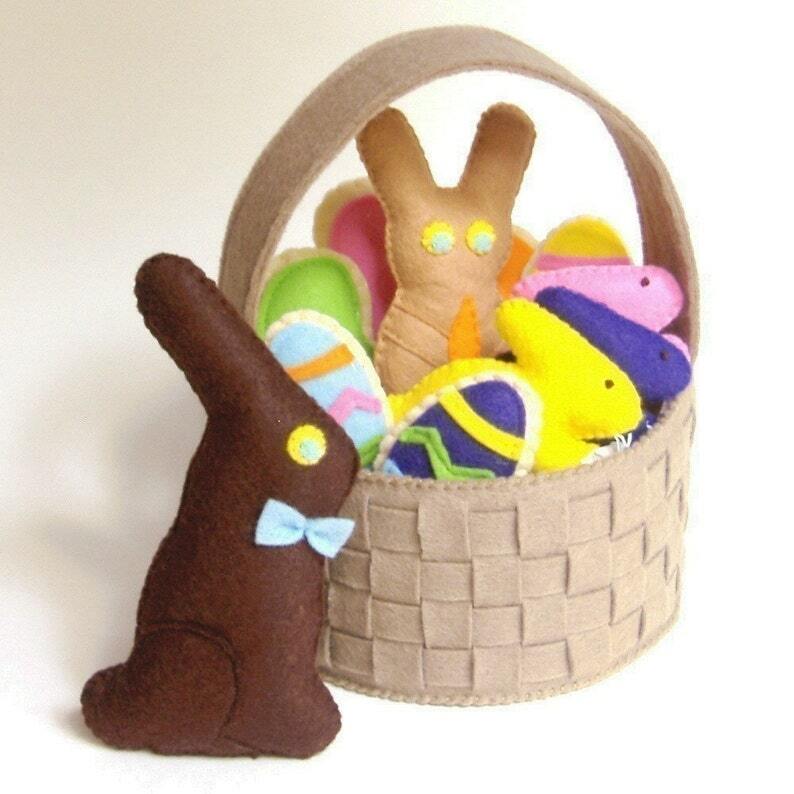 Look what he has in his fun felt Easter basket! A tall sweet dark chocolate bunny, a cute little milk chocolate bunny, jelly bean sugar cookies, decorated egg shaped sugar cookies - and you can't forget the colorful marshmallow bunnies! Tuck it all inside the woven Easter basket- and play away! Woven Easter Basket- approx 7.5" tall, base almost 6"